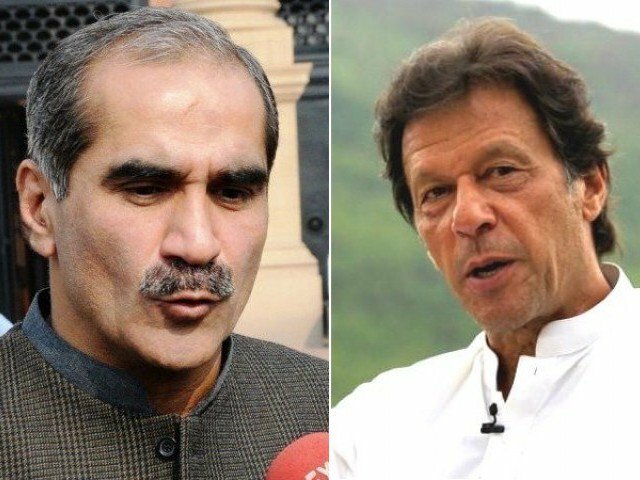 ISLAMABAD: Federal Minister for Railways Khawaja Saad Rafique has announced his decision of contesting the forthcoming elections against Pakistan Tehreek-e-Insaf (PTI) Chairman Imran Khan from Lahore. The firebrand leader of ruling Pakistan Muslim League-Nawaz (PML-N) said that his constituency has been widely affected owing to recent delimitation, but hastened to add that he would contest the elections against Imran Khan from any constituency in the city. The lawmaker expressed that despite the delimitation of constituencies, the vote bank of PML-N was intact, adding that the people will vote for former premier’s democratic slogan in the elections. “The political rivals are worried about Nawaz Sharif’s firm stand despite too many issues,” he declared. Saad Rafique had won the last elections through NA-125 against Hamid Khan of PT by securing 123,416 votes. The victory was challenged in an election tribunal and the apex court as well, however, Rafique managed to complete his stint. On the other hand, Imran Khan had contested for four seats in the last elections and he lost only one against Sardar Ayaz Sadiq who managed to brush aside the cricketer-turned-politician by securing 93,389 votes. Imran Khan has not yet announced the constituencies through which he would contest the upcoming elections but it is expected that he would submit nomination papers for a constituency in Lahore as well.